Young people with long-term illnesses such as diabetes can face difficulty making the transition from child to adult health services. 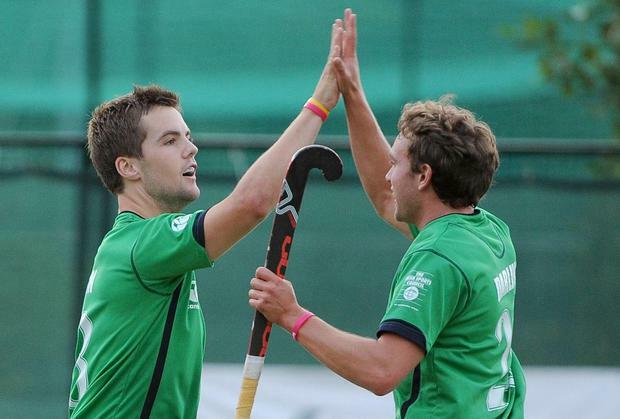 Alan Sothern, the Irish International hockey player who has type 1 diabetes, recently launched a website to help young people make that step. SteppingUP.ie was developed by researchers in Trinity College Dublin's School of Nursing and Midwifery, in partnership with young people with long-term illnesses, such as cystic fibrosis, type 1 diabetes and congenital heart disease. It offers video testimonials, downloadable stories and tips and information on managing the transition, becoming more independent, knowing about medications and the differences between child and adult services. Findings from a major research project being conducted at the School of Nursing and Midwifery have shown that young people with long-term illnesses need better support and preparation to make a successful and positive transition from accessing health supports in a children's hospital environment to an adult health system. Prof Imelda Coyne, lead researcher for the SteppingUP.ie project, said: "At the moment in Ireland, there is very little information available to young people and their families on the transition process. "This website is the first of its kind and we hope that it will be useful for young people who are thinking about and planning to make the transition to adult services." Mr Sothern commented: "The support and guidance that SteppingUp.ie is offering is exactly what young people with diabetes need at this time in their lives. I am absolutely delighted to see a website solely dedicated to helping young people transition into adult care as personally I feel this is something I certainly would have benefited from during that time."